Based in Sydney and with offices in Brisbane, Bidsonline specialises in developing software products for the auction industry. This page summarises these auction systems. You can set your own bid increments helping you increase prices. Bidders can set their own maximum bids. The bidding screen has been designed so that it is easy for a bidder to re-bid when outbid. Lot closing times can be automatically extended if there is active bidding. Unlike fixed times our online auction system helps you get the best price. Our auction systems are designed to meet the interests of the vendor and auctioneer not the buyer! If an item is sold whilst an auction is in progress it is automatically withdrawn and an email sent to the highest bidder. Catalogues are automatically uploaded, any changes to item descriptions are automatically updated on the auction site. Bidsonline is an I.T company specialising in software for auctions. The business was established in 2006 and has a small team based in Sydney with an office in Brisbane. Bidsonline is a family owned company. The company is completely independent and no auction company has a financial interest in the business. Carsplus – A financial and operational systems for car auctions. 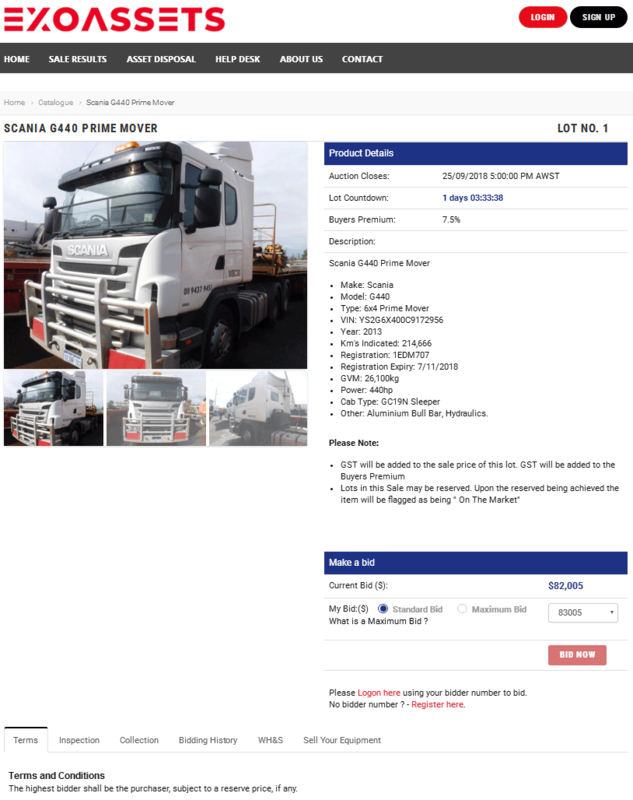 EasyBids – A general auction system for plant and equipment auctions. Simulcast bidding system: car auctions, real estate auctions, plant and equipment auctions all use our simulcast bidding system. Bidders can hear and see a live auction and bid in competition with the floor bidders. Online auctions both ascending and reverse auctions. Our reverse auctions are mainly for produce such as fish and flowers. Simultaneous online auctions. Mainly for livestock but also for charity auctions the simultaneous bidding system shows multiple lots on the one screen with instant bidding updates.